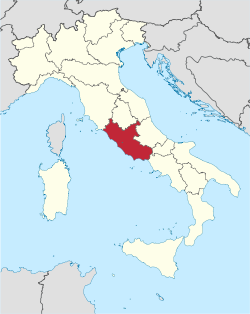 On the central west coast of the peninsula lies Roman wine country. It is nestled between the Tyrrhenian sea and the Apennines and extends into a small island group known as the Ponzian Islands. Given the diversity from mountain to sea each area benefits from a unique microclimate. The interior of the region that sits at elevation will see more precipitation and cooler winters whereas the coastal terrain is more even throughout the year. The prized indigenous red Cesanese is cultivated in the mountain foothills and many of the crisp and savory whites are grown with closer proximity to the sea. As a complement to the regional cuisine rooted in simplicity and few ingredients the wines often reflect this character as they are built for freshness and earlier consumption.